Low Maintenance. 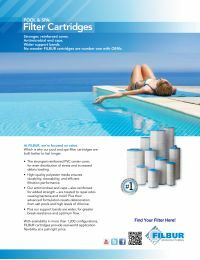 Cleanable & reusable, the FC-2395 Spa Filter Cartridge requires fewer filter replacements, resulting in less hassle and maintenance. More Surface Area. A larger surface area not only optimizes performance, but extends the life of the filter cartridge.